Congratulations to our 6th-Annual Trane Furnace Giveaway winner: Daphney L.! We were touched by Daphney’s entry, in which she puts the spotlight on her husband, William, and how proud she is that he cares for and provides for their family of four. Daphney is only able to work part-time because she is focused on the needs of their child with a medical condition. For this reason, her husband has been very diligent to work long hours to ensure that they can make ends meet. When we contacted Daphney with the good news that they had won, she was so excited and appreciative. She told us that she had heard about our contest on Facebook and decided to try her luck — and boy, did it ever pay off! The Lockett family had their new Trane furnace installed a few short days later! Here at Logan Services, we really enjoy being able to give back to the community with what we do best. 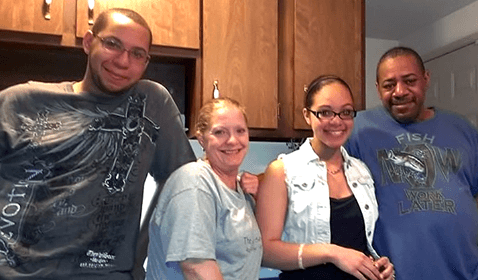 We are so pleased to have been able to help such a deserving family with this project! Congratulations again to Daphney and her family! Want to be our next winner? Enter on our contest page!